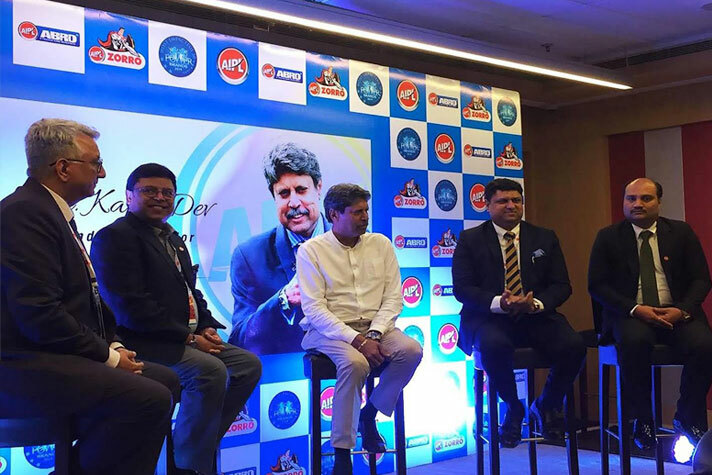 AIPL ABRO announced Kapil Dev as the new brand ambassador, and the embodiment of the company’s core values of Excellence, Teamwork and Leadership. AIPL ABRO’s product line has been the market leader in its industry for decades, just as Kapil Dev has been the Wisden Indian Cricketer of the Century. The former cricketer will endorse all the products of the company across all the multimedia campaigns through a series of on-ground activations and Media Ads. A cricket icon & inspiration, a philanthropist with a savvy lifestyle personality, the main person behind India’s 1983 World Cup triumph; Kapil Dev is more than just a cricketer. His many inspiring facets perfectly reflect the AIPL ABRO brand, with its collection of market leading products in hardware, construction chemicals and autocare segment that make the lives of the users of the product extraordinary.